Nieuw Vennep, Netherlands, Portwell (www.portwell.eu) a world-leading innovator for Industrial PC (IPC) and embedded computing solutions, and an associate member of the Intel® Internet of Things (IoT) Solutions Alliance, today announces the launch of PCOM-C700, Type 7 COM Express® carrier board in its COM Express® portfolio. 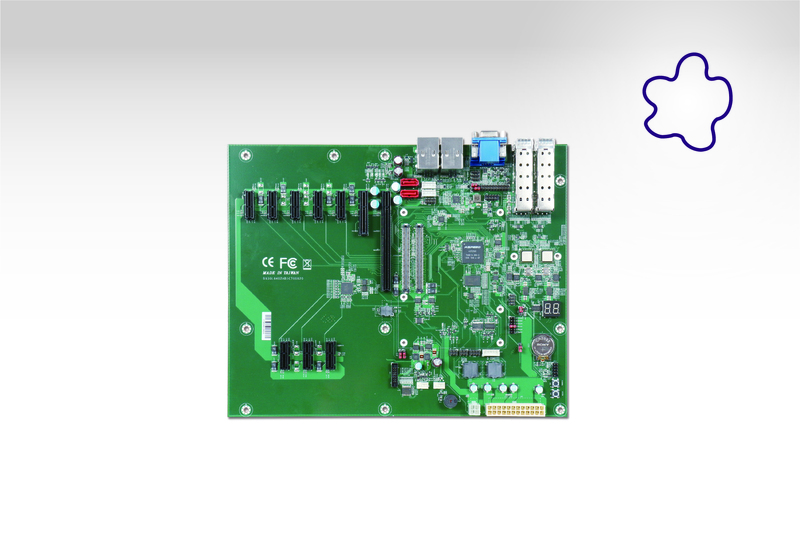 With the board size of 304.8mm x 243.8mm, the PICMG COM Express® 3.0 compliant board incorporates the Type 7 pin mapping into the new generation Carrier board in ATX format. The PCOM-C700 features 4x 10GbE, NC-SI interface, up to 32 PCIe lanes, console redirect, BMC, SATA interfaces and TPM socket. Portwell’s new PCOM-C700 enables the most cost-efficient testing for design and performance upgrades across all existing and new generations of COM Express® module-based products. The company provides technical documentation for its COM Express® modules, carrier boards, starter kits, design guides and circuit schematics. Improving their performance and energy efficiency by using a server-grade platform, operators can execute upgrades simply by exchanging standardized modules instead of complete and costly server motherboards. 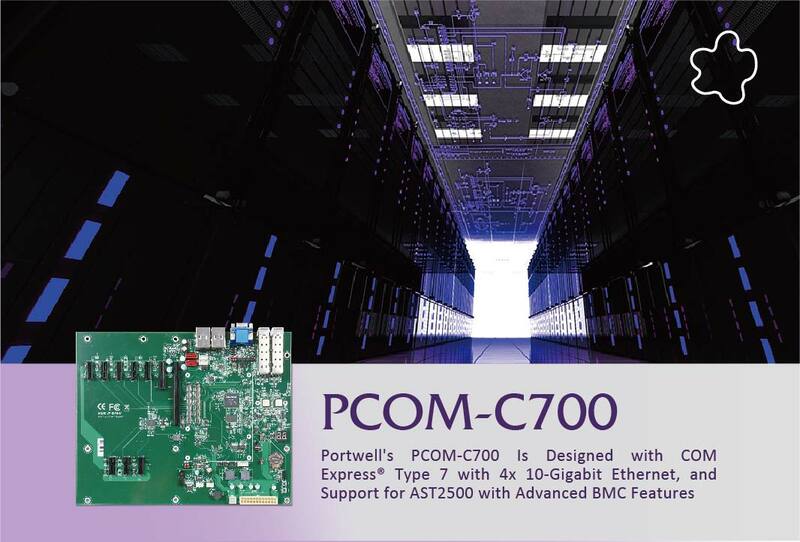 Module-based solutions such as Portwell’s PCOM-B700 are particularly beneficial for cloud computing and edge servers, as well as any kind of data center servers tasked with delivering improved performance system at lower prices. “In embedded applications, customers face the challenge to constantly manage more projects within a given or even shorter time frame,” says Frederic Wang, Portwell director of product management. “This leads to massive time pressures for executing each project. Portwell Type 7 modules can improve the design efficiency of a variety of embedded and IoT server designs in harsh industrial environments, where space is restricted, and dedicated high-bandwidth interfaces to connect the various controls in industrial automation and control systems,” Wang confirms. Portwell’s COM Express® Type 7 module portfolio offers customers an opportunity to evaluate the latest generation of modular-based computing designs. These designs deliver server-grade performance and functionality powered by Intel® Xeon® D processors as well as 4x 10 GbE. The COM Express® Type 7 carrier comes with a complete set of standard interfaces, minimizing installation efforts for Portwell Type 7 modules. “We also offer a carrier reference design to customers in order to reduce their development costs, design time and ensure a faster time-to-market for new products,” Wang adds.